B.Com (Banking and Finance) is a 3 year graduate course, eligibility to which is a (10 + 2) or equivalent examination in any board throughout the country. Students must have also studied and passed in any one of the subjects like accountancy/ Business studies/ Economics/ Mathematics in the intermediate level. The student should have also secured a minimum of 55% in the exam. The fee for the course varies between INR 15,000 to 30,000. The course provides basic knowledge in the field of banking and finance. The course offers the basics of banking, finance, regulations, Banking law, accounting etc. Graduates of B.Com in Banking and Finance have a wide range of job opportunities like Banks, Business Schools, Credit organizations, Consultancies, Economic consulting jobs, Indian civil services, health departments, Insurance industry, securities industry and investments, Mortgage agencies etc. The opportunities are not limited to the said fields. Once completed, the graduate may pursue further studies or may take up said job opportunities associated. The average salary for a fresher ranges between INR 3.5 – 4 LPA and increases with experience and knowledge. Top Recruiting Companies Banks, Business Schools, Credit organizations, Consultancies, Economic consulting jobs, Indian civil services, health departments, Insurance industry, securities industry and investments, Mortgage agencies etc. Job Positions Accountant, Broker, Cashier, Credit risk Manager, Auditor, Equity research analyst, Loan officer, Market Analyst, Sales officer, sales manager etc. B.Com (Banking and Finance): What is it about? B.Com in banking and finance is about the basics of banking, accounting and Insurance. The course covers the basics of courses like security analysis, derivatives markets, financial management, risk management etc. these equip the student in dealing with a variety of financial problems in any particular sector or any kind of client. The course offers a variety of courses and also the final project at the end of three years. There are a number of job opportunities with a lot of versatility and also ability to easily move from one to another job easily. The job opportunities and associated salaries are discussed below. Basic Eligibility is 10 + 2 or equivalent examination in any board throughout the country. Students must have also studied and passed in any one of the subjects like accountancy/ Business studies/ Economics/ Mathematics in the intermediate level. The student should have also secured a minimum of 55% in the exam. The three years of study is divided into six semesters and each semester has compulsory courses. Career prospects of a historian and archivists are many depending on the level of expertise and inclination of practice. They are hired for profiles from cashiers to sales managers. 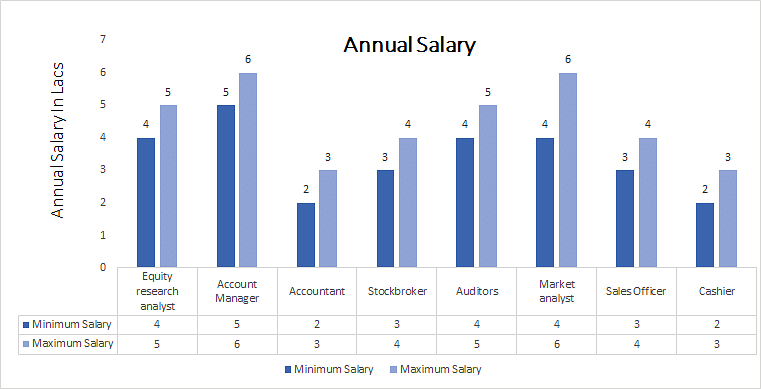 The average salary is between INR 3.5 – 4 LPA. The employment areas are among Banks, Business Schools, Credit organizations, Consultancies, Economic consulting jobs, Indian civil services, health departments, Insurance industry, securities industry and investments, Mortgage agencies etc. The job profiles for these positions range as Accountant, Broker, Cashier, Credit risk Manager, Auditor, Equity research analyst, Loan officer, Market Analyst, Sales officer, Sales Manager etc. The compensation and salaries for these individual jobs are very area specific depending on the kind of music and the method of practice and also depend on expertise and level of operation.